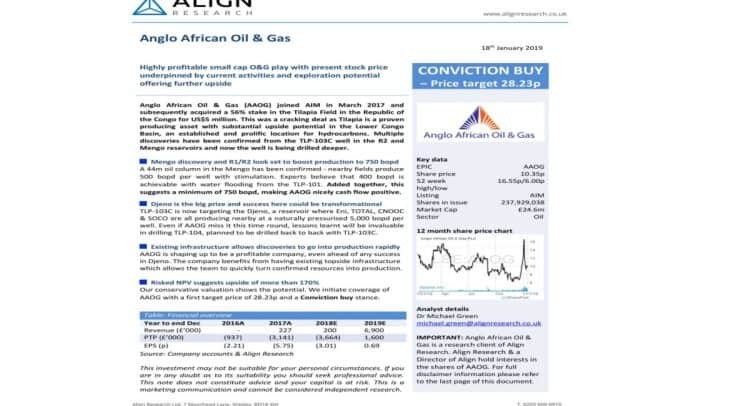 Anglo African Oil & Gas (AAOG) is an AIM-listed independent oil and gas company that owns a 56% stake in the producing Tilapia oil field in the Republic of the Congo. 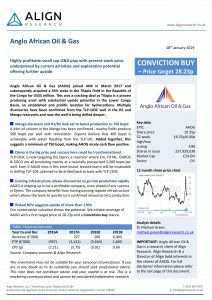 The Company boasts a low-cost production story in a prolific hydrocarbon region with significant exploration upside, differentiating it substantially from its E&P peers. Additionally, management’s remuneration is tied to hitting production milestones, reflecting their strong focus on cost control.